The full, jam-packed programme for the Dublin Theatre Festival has been announced. Featuring theatre, ballet, and opera, there are Irish and international productions, new work and classic plays from renowned artists and new voices. 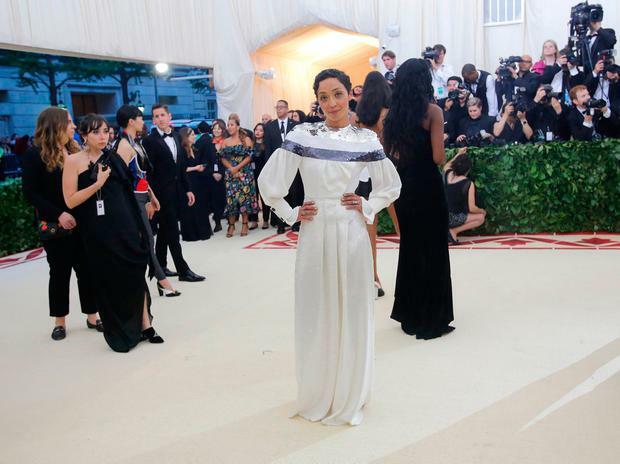 One of the highlights is Oscar-nominated actress Ruth Negga making her Gate stage debut in the title role of Hamlet, joined by a cast of Ireland’s finest actors. Directed by award-winning director Yaël Farber Shakespeare’s iconic story of politics, vengeance, madness and murder is reimagined in a ground-breaking, visionary Gate Theatre production for today’s audience. From the Obie-award winning Elevator Repair Service (USA) that created Gatz, comes a new play, Everyone’s Fine with Virginia Woolf written by Kate Scelsa and directed by Artistic Director John Collins. Fresh from its world premiere in New York it’s a loving homage and fierce feminist take-down of Edward Albee’s drama Who’s Afraid of Virginia Woolf? The latest work by 600 HIGHWAYMEN (USA) tests the limits of individual and collective responsibility, and our willingness to be there for one another. A response to the current polarised social and political climate of the United States and performed in complete collaboration with the audience, The Fever examines how we assemble, organise and care for the bodies around us. The Corn Exchange brings Arthur Miller’s iconic film, The Misfits, to the stage for the first time in this new reimagining by Annie Ryan while Conor McPherson’s chilling play St Nicholas receives its Irish premiere in an intimate new production by the Donmar Warehouse (UK) which sees Brendan Coyle return to the Irish stage for the first time since 2002, directed by Simon Evans. Writer/director Enda Walsh and the team that brought you The Second Violinist in a new production of Béla Bartók’s early 20th-century reimagining of the tale of Bluebeard. Irish National Opera’s Bluebeard’s Castle sees Paula Murrihy return home for a rare performance in Ireland, alongside Joshua Bloom. Olivier Award-winning Fishamble: the New Play Company and the Abbey Theatre present Deirdre Kinahan’s latest powerful a drama. Rathmines Road is a play set over one evening in a tiny room. This new drama challenges the cultural response to accusations of sexual assault. Renowned CAMPO (Belgium) returns with Multiverse in which Louis Vanhaverbeke plays a multifunctional DJ, who needs little more than turntables and a myriad of colourful household objects to bring his music and creations to life. Also from Belgium comes Silke Huysmans & Hannes Dereere with Mining Stories. On November 5th 2015, a dam containing toxic mining waste collapsed in the mountains of the Brazilian mining region of Minas Gerais killing 19 people. In this documentary theatre performance each interviewee tells the story of the disaster from their own perspective. From Decadent Theatre a major revival of Marina Carr’s award winning breakthrough play The Mai, an epic tale of three generations of a family inspired by love but shattered by inescapable reality featuring a stellar cast led by Derbhle Crotty. From Rough Magic comes the world premiere of Arthur Riordan’s vibrant stage adaptation of the seminal novel by James Joyce, A Portrait of the Artist as a Young Man, brought to life by a dynamic, new, creative ensemble of actors and designers under Ronan Phelan’s direction. Making a return to Dublin is TR Warszawa (Poland) with Fantasia, dealing with the subject of imagination and theatre as a place where the world of fiction is born. Nannie’s Night Out is a lost Sean O’Casey play, taking its inspiration from real people and places of Dublin’s inner city, performed at the Abbey Theatre only once, in 1924. Reframing Nannie’s Night Out as a catalyst for urgent action, The Lost O’Casey from ANU and the Abbey Theatre is a production which propels the lost Nannie into a contemporary Dublin. A new work by Gina Moxley, The Patient Gloria is inspired by the 1965 films Three Approaches to Psychotherapy, also known as The Gloria Films. A timely meditation on female desire in a new political context where misogyny is the winning ticket, from The Abbey Theatre and Gina Moxley, in association with Pan Pan Theatre. From Iranian playwright Nassim Soleimanpour and Bush Theatre comes an audacious new theatrical experiment. Each night a different performer joins the playwright on stage, while the script waits unseen in a sealed box… NASSIM is a striking theatrical demonstration of how language can both divide and unite us. Raymond Keane explores Beckett’s prose through the use of projected text, live and recorded voice, and the body in movement and stillness in his intensely moving and lyrical work Company (from Company SJ). In the early 1960s, MIT developed artificial intelligence software called ELIZA which made certain kinds of natural language conversations between humans and computers possible. In ELIZA’S Adventures in the Uncanny Valley from Pan Pan Theatre, Eliza is sent into an anonymous motel, where she interacts with four characters who are all mysteriously booked into the same room. Shakespeare gives us one of the great villains in DruidShakespeare:Richard III. Druid continues its exploration of Shakespeare’s kings with the acclaimed creative team and members of the Druid Ensemble who worked on DruidShakespeare: Richard II, Henry IV (Pts. 1 & 2) and Henry V. In association with the Abbey Theatre. Dance theatre innovators Junk Ensemble will bring The Bystander to the festival. It takes its name from the ‘bystander effect’ phenomenon of the murder of Kitty Genovese outside her apartment in New York City in 1964, whereby thirty-eight witnesses saw or heard the attack, yet none of them called for help. The Bystander brings to the surface some of the murkier and complex behaviours of contemporary society. A satirical look at the legacy of institutional Ireland, The M House from Equinox Theatre Company is an adventure story, a scramble to make sense of our one-size-fits-all culture, a parable of our times about the treatment of our vulnerable. In 2009 Janek Turkowski started to observe, film and document everyday life in Klosterhof, joined by Iwona Nowacka four years later. In this Polish production viewers are invited on a virtual trip through time exploring a collection of stories documenting its creators’ changing neighbourhood, a film record of their own private universe. Dance Consortium (UK) comes to Bord Gais Energy Theatre with the all-male comedy ballet company Les Ballets Trockadero de Monte Carlo. Loved worldwide for their sassy spoofs and hilarious homages to classical ballet where 18 dancers each transform into two personas, both male and female. Born into poverty in an isolated village in rural France, a boy grows up amongst hard men and women living hard and violent lives. Bullied relentlessly for being gay, The End of Eddy from the Unicorn Theatre and Untitled Projects, is the story of Eddy’s struggle to understand who he is, who he might become, and of his fight to escape (for ages 16+). Home Theatre pairs 30 Dublin 15 ‘hosts’, with 30 leading theatre makers. After spending time together, in the hosts’ homes, in their lives, each theatre maker writes a piece of theatre that will be performed in the host’s home. 30 new plays will be performed in houses across Dublin 15 and a selection of these plays are being presented in Draíocht as part of Dublin Theatre Festival. Dutch visual artist Nicoline van Harskamp collected naming stories from around the world, asking people, ‘What is your name, who gave it to you and what does it mean in your language?’ The result is My Name is Language a performative work on the topic of names. Dublin Theatre Festival and The Ark present three acclaimed pieces of Theatre for Children, with something for ages 2+. This year, children and their friends and families can explore the ground and all of its wriggling inhabitants in a quirky dance show for children ages 2-5 from Second Hand Dance (UK) Grass; experience a magical journey through the dark and beautiful night for ages 3-6 in Andy Manley (UK) and Teater Refleksion’s (Denmark) Night Light or hear the tale of Oscar Wilde’s The Young King adapted for ages 8+ from Slingsby (Australia).